What's not to love about the Dragonfly Yoga Scoop Neck Tee? It's made from a thin, lightweight cotton, features a simplistic and feminine scoop neck neckline, and is cut long in the torso, preventing overexposure when you are trying to concentrate on your asanas. 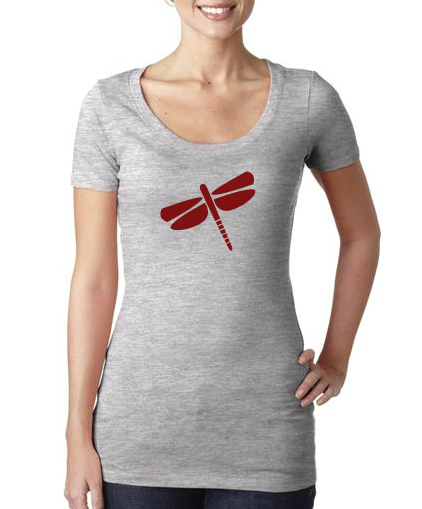 Heather gray with a Dragonfly Red dragonfly logo screen printed on top.